I lived in Siskiyou full-time for five years, and I’ve spent a few decades exploring the region. However, I didn’t know very much about the spiritual side of Mount Shasta, so on a winter weekend, my husband—Logan—and I visited some of Mount Shasta’s sacred places. Before leaving for our trip, we made a list of things we wanted to see and do. We didn’t get to see everything on our list because we ran out of time. We loved the experience, and we’re looking forward to visiting more sacred places in the future. If you’re interested in exploring the spiritual side of Siskiyou, I hope our trip sparks a few ideas! We left our home relatively early on Saturday morning and drove through the rain and fog to Siskiyou. Our first stop was Yaks in Dunsmuir, CA because it was time for lunch. When I walked into the restaurant, I immediately noticed the murals and unique decorations like chandeliers, the art on the walls, and the beads that hung from the windows. Since the restaurant wasn’t full (yet), I took a few photos and wrote notes in my journal. Nancy, one of the owners, noticed me taking pictures and came over to our table and introduced herself. We started talking about Discover Siskiyou, the history of Yaks, art, and the murals on the walls that were created by Dylan Tellesen. Nancy was also our server, and she was incredibly generous. She ordered us a sampling of her favorite appetizers, and it was on the house. The appetizers, along with my giant burger, was an explosion of delicious flavors in my mouth. With full bellies, we drove to Mount Shasta and checked into the Inn at Mount Shasta. Since it was rainy outside, we decided to spend the afternoon exploring crystal shops downtown. The stones, minerals, crystals, and more were dazzling! Don’t be afraid to touch the crystals. Connect with the crystals on an intuitive level and follow your instincts. Some people are drawn to a gem by the aesthetics, and others feel pulled to a crystal by some unknown force. I followed their advice, and I bought a handful of stones and crystals for $12. They are perfect decorations for my home office. After shopping for crystals and stones, we relaxed in our room and had a late dinner at Mike & Tony’s. The Italian themed restaurant is within walking distance of the Inn at Mount Shasta, and it had a relaxed vibe. While we ate, we planned the day ahead. We aimed to visit three sacred spots including Castle Lake, the Sacramento Headwaters, and if the weather cooperated, we planned on watching the lunar eclipse on Mt. Shasta. 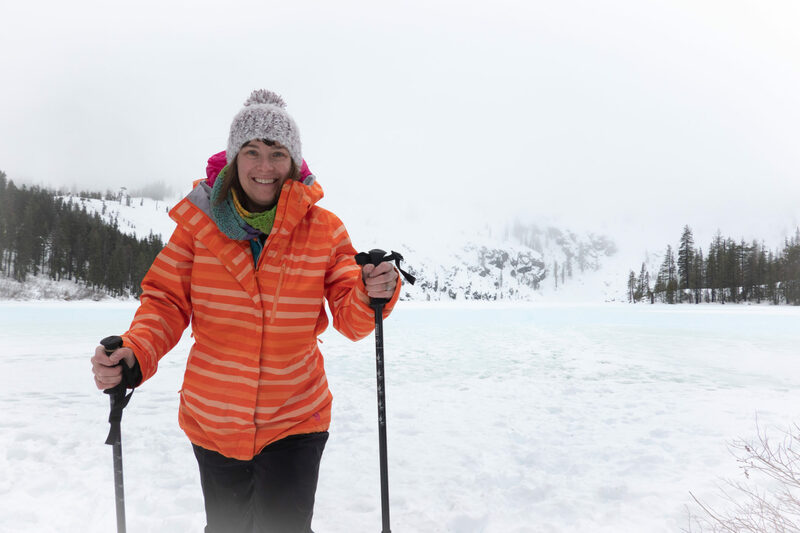 Our first stop was Castle Lake, where we spent a magical morning snowshoeing around the shore, jumping in the snow, and trying to take all the photos! The lake was peaceful and gorgeous. After our experience at the lake, I felt refreshed and renewed. Our second stop was the Sacramento Headwaters at Mount Shasta City Park. At the headwaters, we found a group of people collecting water from the spring and another playing flutes and drums in the rainy weather. I didn’t see any fairies on Sunday, but I did feel relaxed, playful, and calm while I was at the lake and headwaters. Our final plan for the day included watching the lunar eclipse on Mt. Shasta. The adventure didn’t happen because the weather was grey and wet, and wandering around on the mountain could have been dangerous. As an alternative, our guide Andrew Oser—of Mount Shasta Retreats—took us to Sisson Meadow (one of my favorite places in the city). We spent an hour in the meadow talking and watching the night sky. We were hopeful the moon would make an appearance, but the moon didn’t emerge from the clouds. Even though we didn’t see the eclipse, spending time in the meadow was a unique experience. The evening air was crisp, cold, and Andrew led a gratitude prayer and chant. He also talked about the history of Mount Shasta and encouraged us to enjoy the present moment. Before visiting the Mount Shasta Gateway Peace Garden, we fueled up on coffee at Seven Suns. I was glad to have hot coffee with me because when we got to the garden, it started snowing. The garden was peaceful and fun to explore. There were hundreds of prayers flags hanging on bushes and trees, and we found statues of the Mother Mary, St. Francis, Buddha, and more. There were also benches to sit on; making it a perfect place to meditate during fall, spring, or summer. After wandering through the garden, we went back to Sisson Meadow to savor the views of Mount Shasta. The mountain was covered in fresh snow, and the bright blue sky made the mountain appear even more vivid. 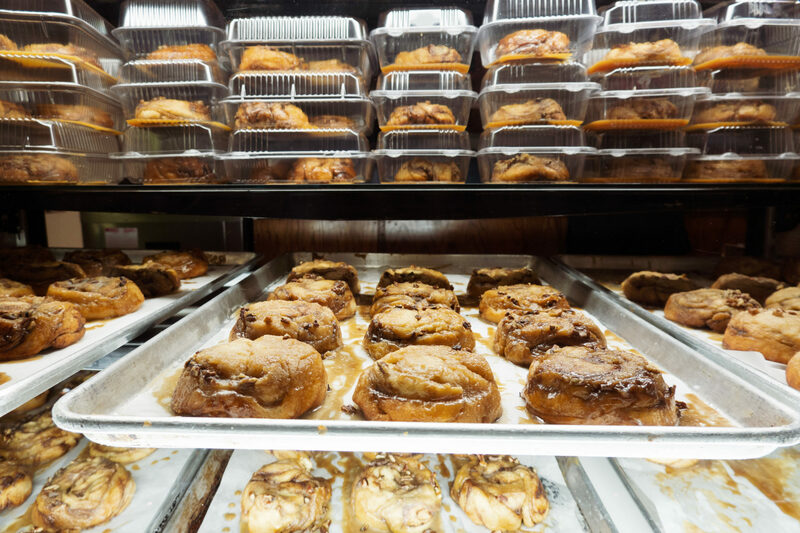 After spending a few hours in the cold weather, we stopped for a coffee refill and a treat at The Oven Bakery. This bakery is one of my favorite places to get coffee in Mount Shasta because they make pour-over coffees and use Northbound Coffee; which is locally roasted in the city. Our final stop in Siskiyou was Hedge Creek Falls. I’ve been to the falls previously, but Logan hadn’t seen them. Thanks to all the snow and rain we’ve received, the falls were full and gorgeous. The walk to the falls is short, and I love walking behind the waterfall. Seeing the waterfall up close is mesmerizing and enchanting. We’re looking forward to exploring more sacred places in Siskiyou, and we can’t wait to check a few items off our spring-themed adventure list! Lodging: We enjoyed our stay at the Inn at Mount Shasta! In July 2018, Dan Korn bought the property and currently the Inn is getting a makeover. The Inn is an excellent jumping off point to explore Siskiyou, the staff are friendly, and the rooms are cozy. I’ll share more details about the Inn in a future post. 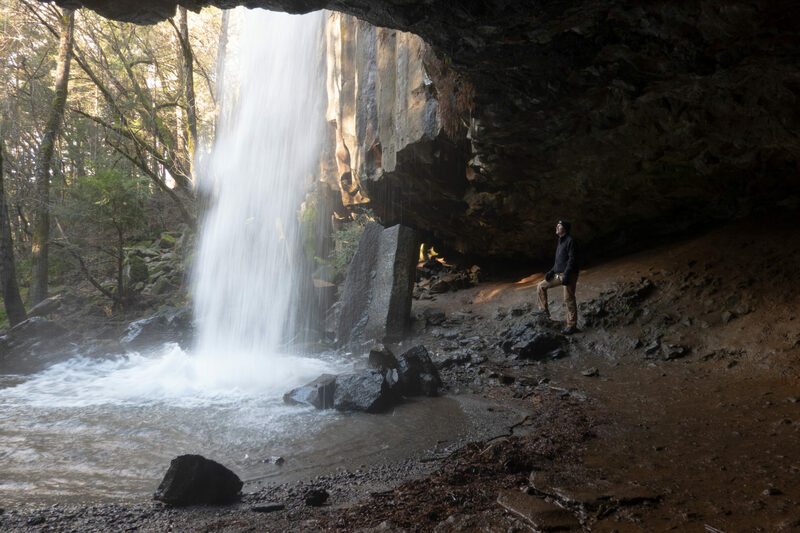 Sacred Tours and Retreats: If you’d like a guided tour of Mount Shasta’s sacred spots, contact Andrew Oser of Mount Shasta Retreats. He’s professional, kind, and has in-depth knowledge about the spiritual side of Siskiyou; specifically Mount Shasta. If your travel budget is limited, buy a copy of the Mt. Shasta Sacred Sites Guidebook at Soul Connections. The book is only $5, and it will enable you to go on a self-guided tour of the sacred spots in the area. You’ll also find a list of local business, tour guides, a map, and more in the book. Good Eats: After our daily adventures, we enjoyed delicious meals at a variety of restaurants in Mount Shasta. I recommend eating a meal at Lilys, Mike & Tony’s, Mt. Shasta Pastry, and Hari Om Shri Ram Indian Cuisine. Seven Suns Coffee and The Oven Bakery have great coffee and food. 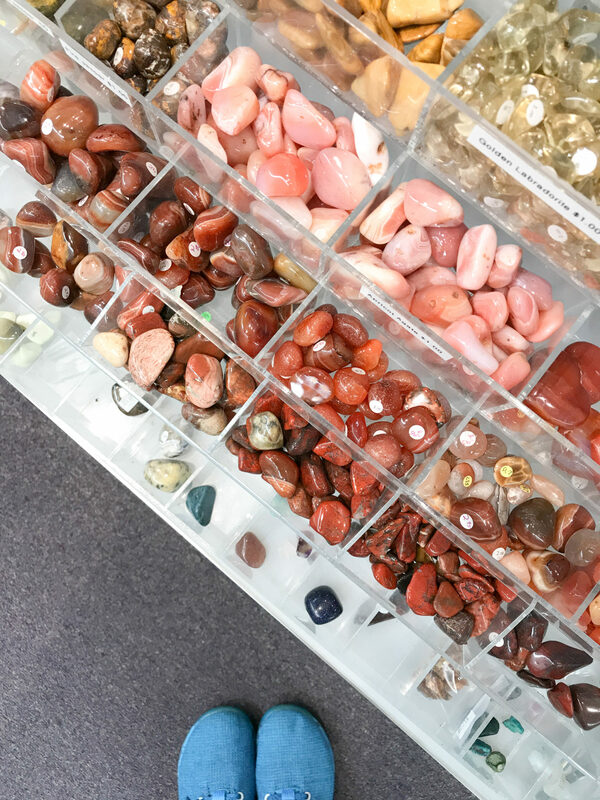 Crystal Shopping: There are lots of crystal shopping options in downtown Mt. Shasta. 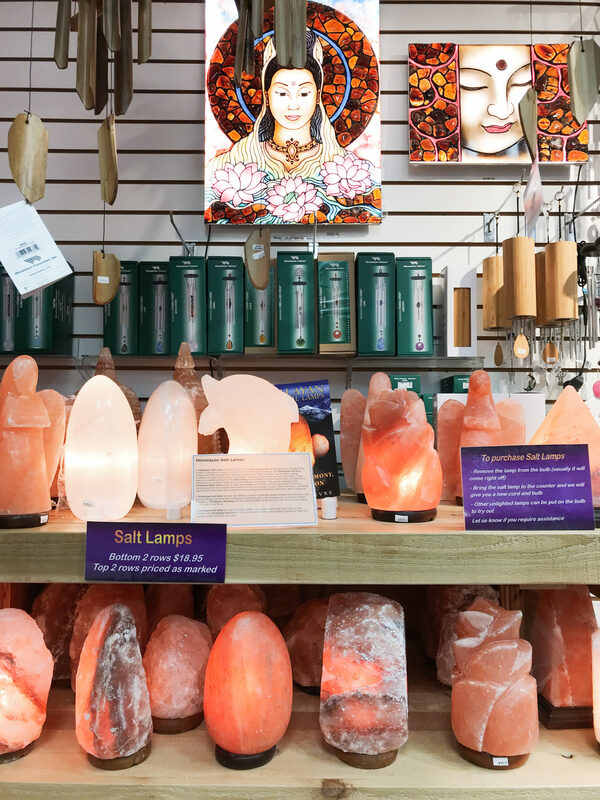 We visited three shops on our trip including Crystal Keepers, Soul Connections, and Shasta Rainbow Angels. Each shop was like a small museum; light, bright, and filled with interesting items. Winter Equipment: We rented snowshoes and boots at the Sportsmen’s Den in downtown Mount Shasta. If possible rent your equipment early. For example, I rented my snowshoe gear late in the day, and they were out of traditional snowshoeing boots. I ended up snowshoeing in snowboarding boots. They were not comfortable, but I made the best of it because the views of Castle Lake were worth it! The Fifth Season also rents winter equipment, and they have clothing, shoes, and more. For instance, I purchased a pair of much-needed thermals for our outdoor adventuring in Mount Shasta.